James Berry appeared in judicial review challenge to the decision of a police misconduct panel not to dismiss a police officer who the panel found had attempted to kiss a vulnerable member of the public while he was on duty. James argued that the panel had acted unlawfully by failing to follow the correct approach to determining disciplinary action in police misconduct proceedings. Following a hearing on 13 November 2018 in the Administrative Court sitting in Manchester, the misconduct panel’s decision was quashed and remitted to be reheard applying the correct legal approach. This is understood to be only the second case where a misconduct panel’s decision has been successfully challenged by way of judicial review. 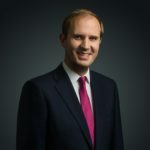 James has previously appeared (led by John Beggs QC) for the claimant in the first successful judicial review of a Police Appeals Tribunal’s decision and the first successful judicial review of the suspension of a police officer. James was instructed by Nick Cook of Greater Manchester Police Legal Services. For coverage of the original misconduct hearing, in which James did not appear, please click here.